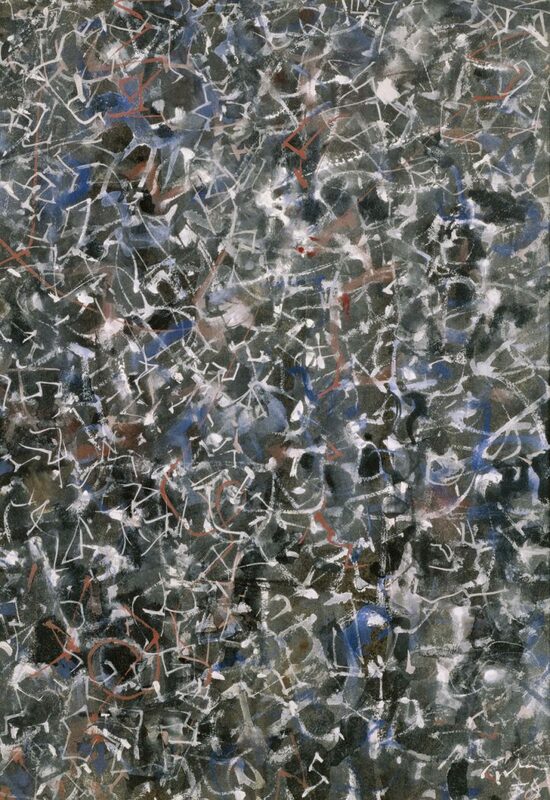 As I studied Night Flight by Mark Tobey, I saw many repetitive strokes and lines, that once repeated, began to morph into different shapes. This visual aspect is akin to the fugue, a compositional technique in which a melodic line is introduced and repeated by different voices, at which point the interwoven voices begin to develop into something new. For my playlist, I have chosen four pieces that have prominent examples of fugue-like material: two pieces by the king of the fugue, J.S. Bach, and two by more contemporary artists Sylvan Esso and Bon Iver. I hope as you listen you may be able to hear and visualize the repetitive fugue-like sonorities.